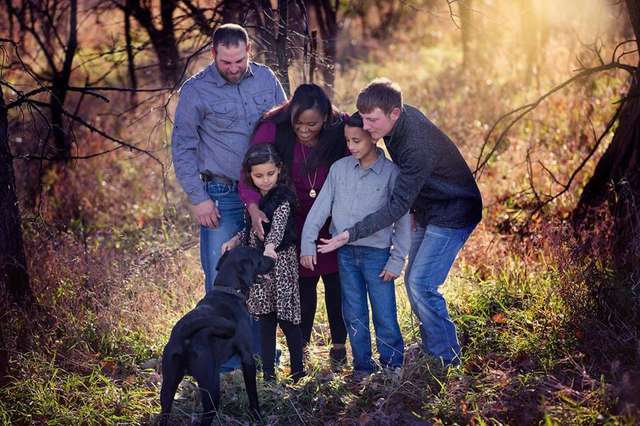 A dog named Bo is very loved by his entire family. 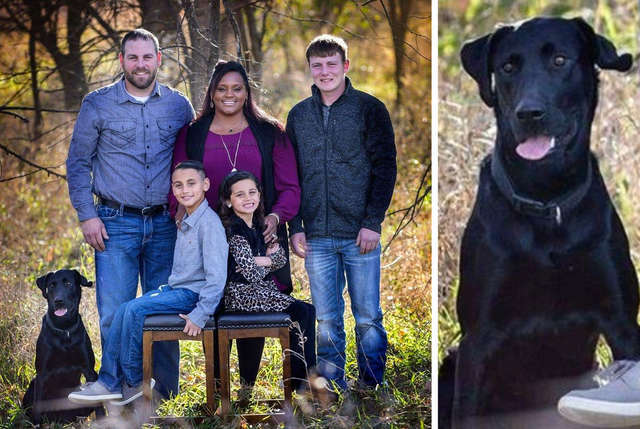 His family loves him, too: his three human siblings and parents adore the dog so much. But, there is something that Bo loves almost as much as his family. He loves to go on adventures and he certainly enjoys making new friends along the way. He made that very clear recently when he decided to run way from home one day. His family was so worried when they couldn’t find him in the yard so they began to search the area near their home. They live in Kansas, so there are plenty of open fields around and they were so worried they wouldn’t find him. They search non stop for day in the fields and could not find Bo. But soon, they got word that a dog that fit the description for Bo was spotted in a field that was nearly six miles away from their home. 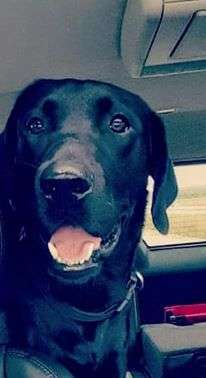 So, Bo’s owner Kyle Krier drove out to the area in his truck to try to find the family’s beloved dog. It is a good thing he brought his big truck, because Bo made some friends on his journey. When Kyle found Bo and called for him he came running—and he had two special friends by his side. Kyle recorded it all on video, as Bo ran across the field toward his truck. You can see Bo, but he is definitely not alone. He was with a dog and a goat. 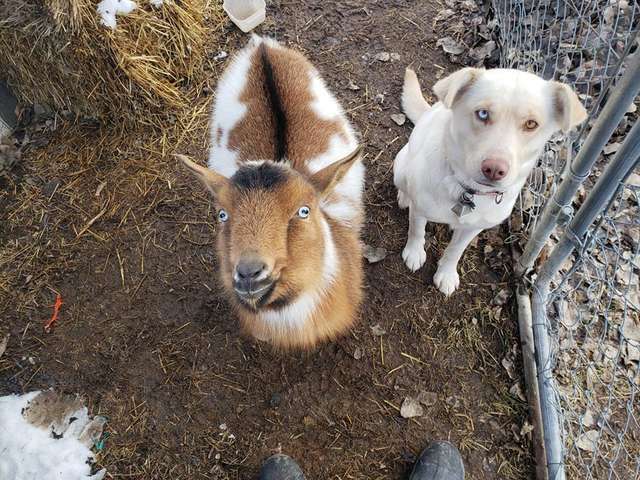 As luck would have it, Kyle knew the dog and goat in question. Their names are Ozzy and Libby, and the pair belongs to his neighbors, Chris and Shawna Huggans. It seems that Bo snuck away from home and headed over to the neighbor’s house to meet up with his friends. 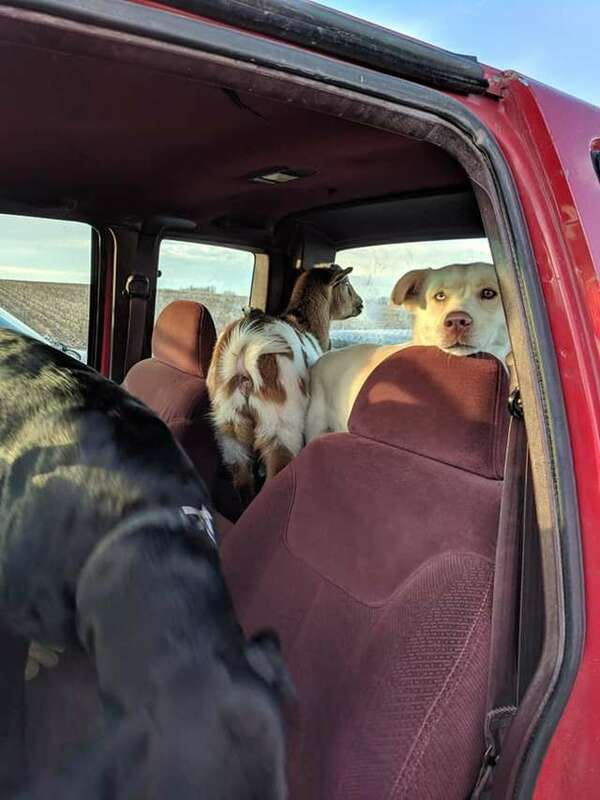 No one knows who hatched the plan to run away together, but the good news is everyone hopped into Kyle’s truck and headed home that day.